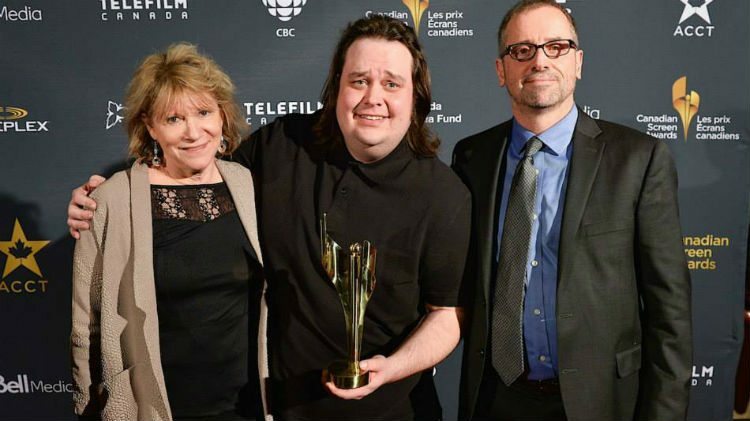 Mikey McBryan, centre, celebrates after Ice Pilots NWT won a Canadian Screen Award in 2015. Ice Pilots NWT has been nominated for another Canadian Screen Award for Best Factual Program or Series. The show, which ended its six-season run in the fall of 2014, featured Northwest Territories airline Buffalo Airways. Last year, the History Channel show beat out four other programs to take home the award in the same category. 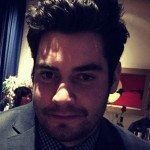 Shortly after the win, Buffalo Airways general manager Mikey McBryan told Moose FM it was the closest thing he “could ever achieve to winning the Stanley Cup”. This year, the show is up against Emergency, Jade Fever, Million Dollar Critic and Still Standing. This marks the third time Ice Pilots NWT has been nominated over six seasons following the airline. On Thursday, McBryan took to his Facebook page to share the news. McBryan says the latest nomination is for the show’s D-Day special, when Buffalo tried a tribute parachute jump. The Canadian Screen Awards, run by the Academy of Canadian Cinema and Television and first staged in 2013, were formed when the Gemini Awards (TV) and Genie Awards (film) merged. The awards will be broadcast on CBC on March 13. You can find the entire list of nominees here. This news comes in the same week as reports that another NWT-based show, Ice Lake Rebels, has been cancelled. The show ran for two seasons on the Animal Planet, documenting the lives of Yellowknife houseboaters.